Cranberries are called a superfood for a reason. Reportedly packed with fibre and more antioxidants than any other fruits and berries, cranberries are lauded for their many health benefits. They are said to boost your immune system, help prevent gum disease, reduce bad cholesterol, improve digestion and prevent urinary tract infections. However, up to now, their impact on gut microbiota – the name given to the tens of trillions of microorganisms living in our intestines – hadn't been tested in any randomised controlled feeding trial. This type of experiment was recently conducted for precisely this purpose with partial funding from the EU project TECNIOspring PLUS. 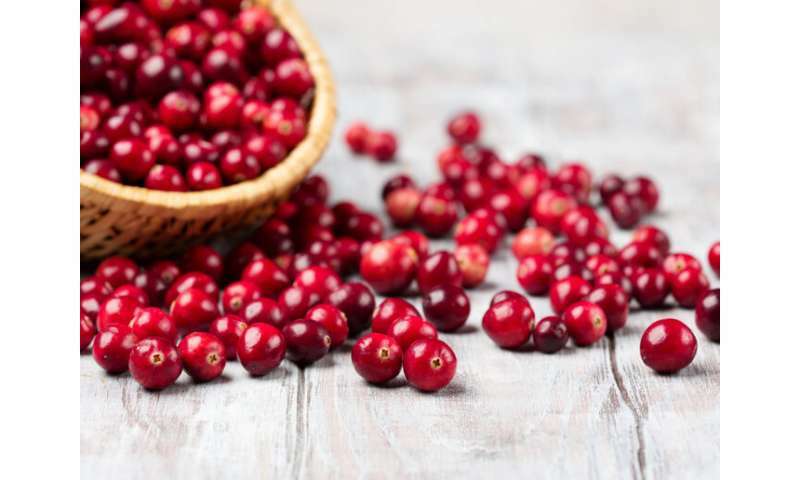 In the trial a team of researchers explored the relationship between microbiota and cranberries consumed as part of a low-fibre animal-based diet. They found that cranberries lessen the negative effects of such a diet on the gastrointestinal (GI) tract. The trial and its findings are described in an article published in the Journal of Nutritional Biochemistry. Low-fibre animal-based diets are known to increase carcinogenic bile acids and decrease the beneficial short-chain fatty acids (SCFAs) produced by friendly bacteria in the gut causing an imbalance in the gut microbiome. "An imbalance can increase the risk for several chronic diseases including atherosclerosis hypertension kidney disease and type 2 diabetes" said study co-author Dr. Oliver Chen of Tufts University in the United States in a news release published on the 'PR Newswire' website. "Identifying foods – like cranberries – that can help shape and support a healthier gut microbiome could have a remarkable impact on public health." Cranberries were chosen for the experiment because of their total high phenol content that affects antioxidant activity. Eleven healthy adults between 25 and 54 years of age participated in a randomised, double-blind, crossover, controlled feeding trial. For 5 days, the participants consumed a control diet of meats, dairy products and simple sugars together with 30 g of placebo powder per day. After a 2-week intervening period, the subjects then consumed the control diet plus 30 g of freeze-dried whole cranberry powder per day for another 5 days. Stool, urine and blood samples were taken before and after each phase. The cranberry diet seemed to lessen the potentially adverse changes that an animal-based diet causes in the gut microbiome. It reduced the increase in carcinogenic bile acids and lessened the drop in SCFAs that benefit the GI tract. It furthermore increased bacterially derived phenolic acids as well as urinary anthocyanins, a class of compounds that are said to have antioxidant properties. Overall, the addition of cranberry powder indicated that cranberry properties may play a role in maintaining gut health. TECNIOspring PLUS (ACCIÓ programme to foster mobility of researchers with a focus in applied research and technology transfer) is a 5-year international mobility fellowship programme that ends in 2021. It gives experienced researchers the opportunity to conduct research in approved R&D companies and institutions around the world.